NCAAB Early Bird Sale Ends Sunday! The 2018/19 NCAAB Regular Season tips off November 6th and we've got a sweet offer to help you get ready for the action. 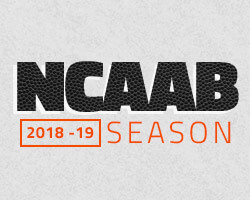 From now until November 4th, SAVE UP TO $200 on season-long packages with Covers Experts' NCAAB Early Bird Sale! Looking for a proven long-term winner? Over the last 3 seasons combined, Power Sports has produced a record of 399W - 283L (59%), earning his subscribers a whopping $84,556 of profit! Don't miss out on this great deal, ACT NOW - sale ends November 4th! P.S. Be sure to register for the King of Covers NCAAB Regular Season Contest. Put your college hoops handicapping skills to the test - FREE to play with over $7,400 in cash and prizes up for grabs!